The Outrigger Laguna Phuket Resort and Villas has opened in Thailand. 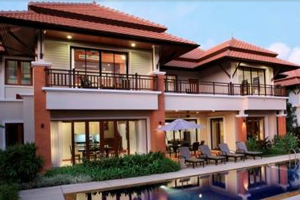 The 68-villa property is part of the Laguna Phuket resort at Bang Tao beach. The resort offers 1,000 acres of landscaped parks and lagoons, five spas, the 18-hole Laguna Phuket Golf Club and 30 restaurants and bars.